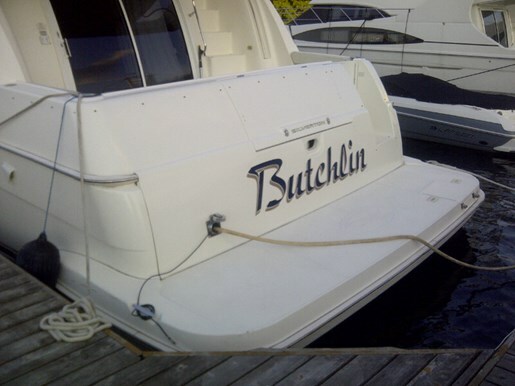 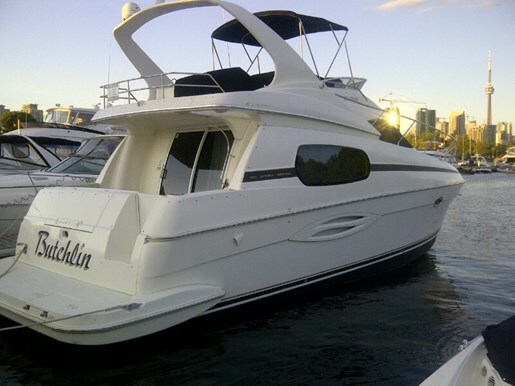 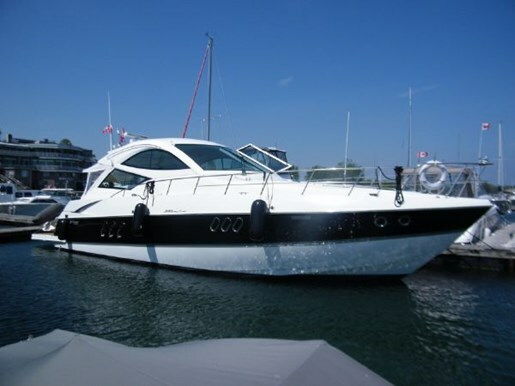 Great Boat for a Great Deal... 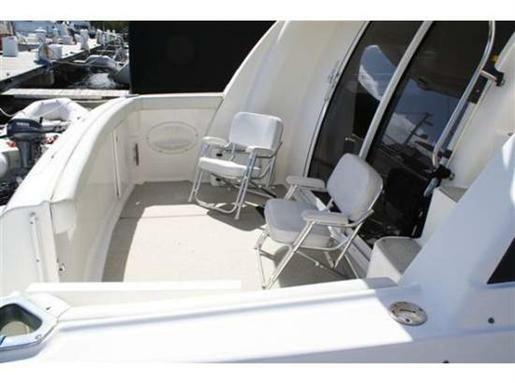 The 410 Sportbridge features a spacious cockpit, molded staircase to the bridge, and glass aft salon bulkhead with sliding door that opens to allow access to the cabin. 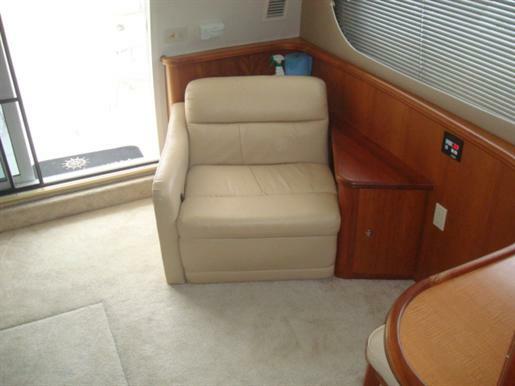 The cabin has a large sleeper sofa to starboard and single lounge chair to port along with comfortable bar stools at the counter. 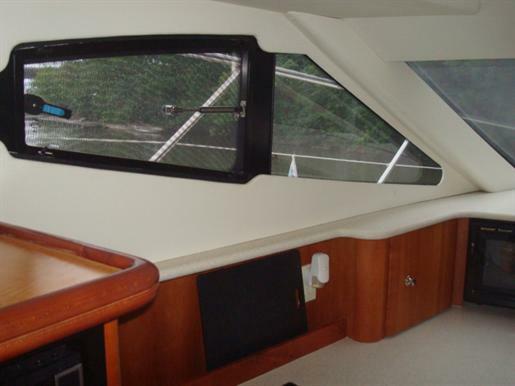 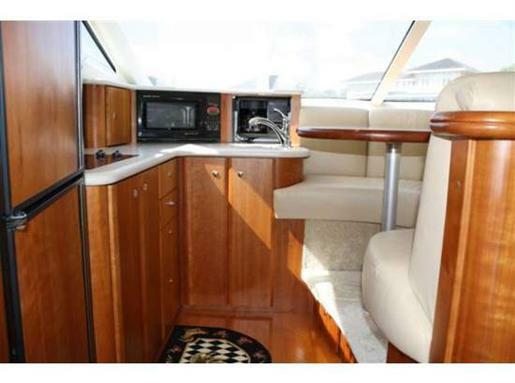 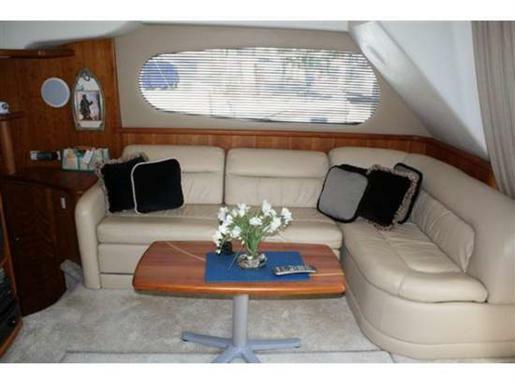 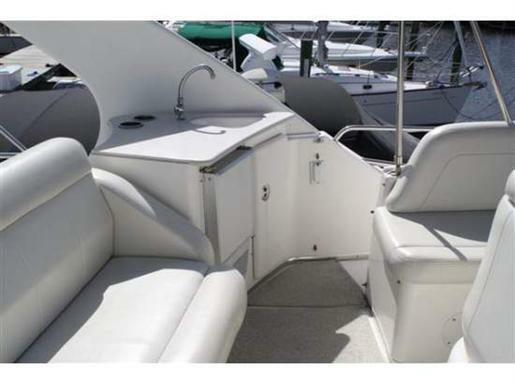 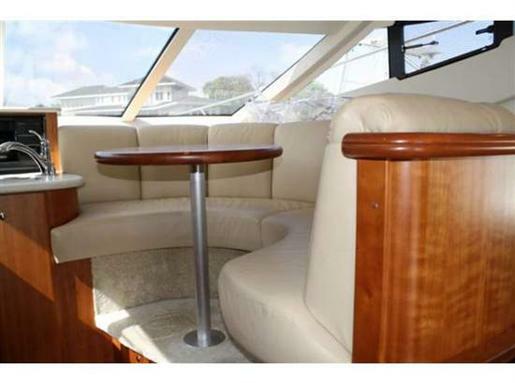 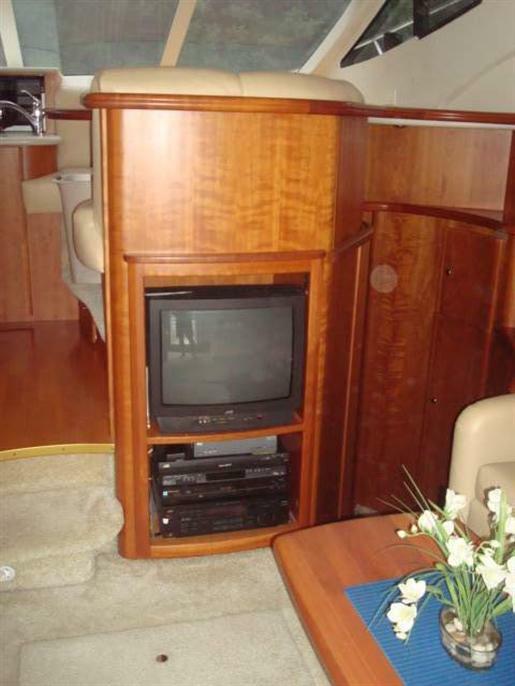 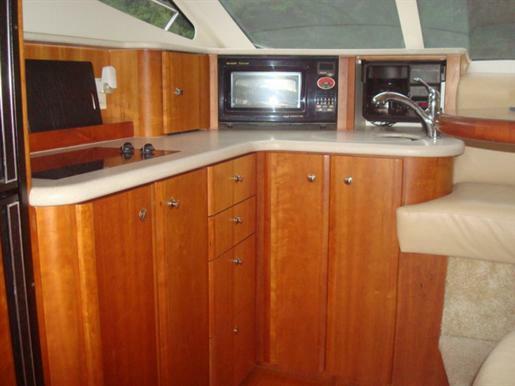 The galley is up two steps to starboard and also is where the dinette can be found as well. 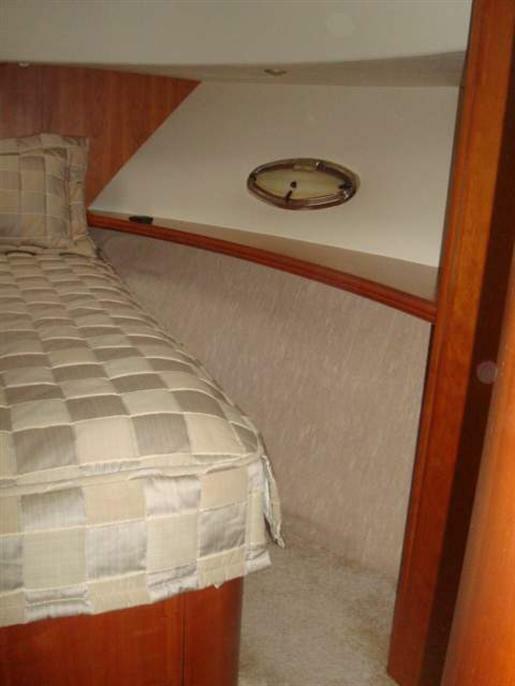 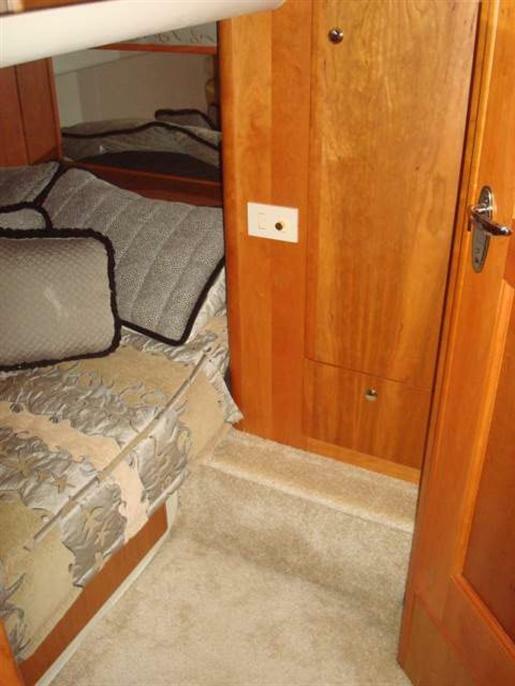 A starboard situated companionway will lead you to the two stateroom split head arrangement found in the 410. 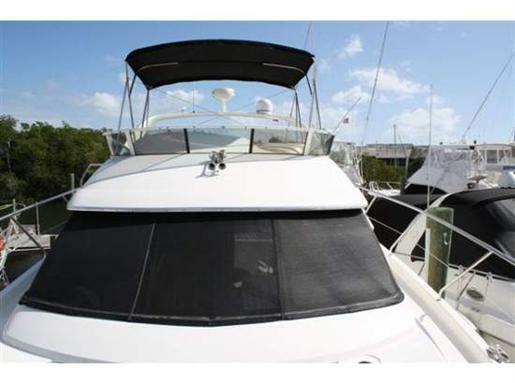 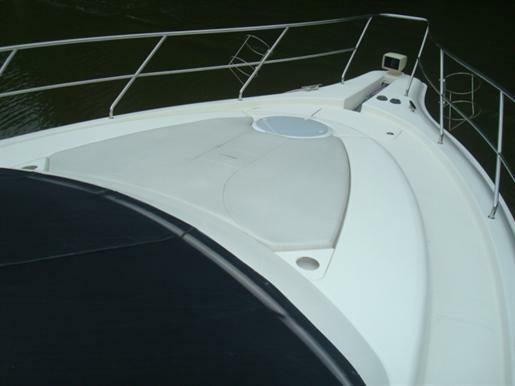 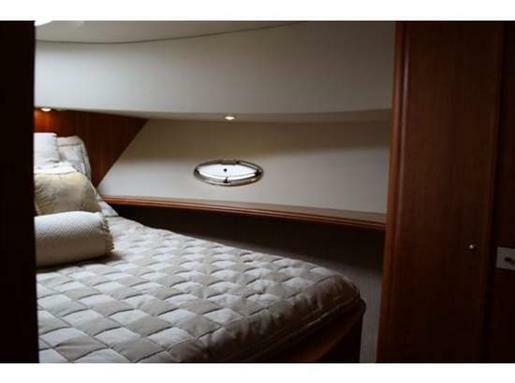 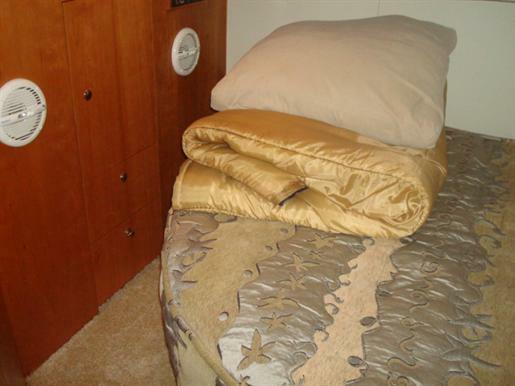 The head is to starboard with access from the companionway or master stateroom. 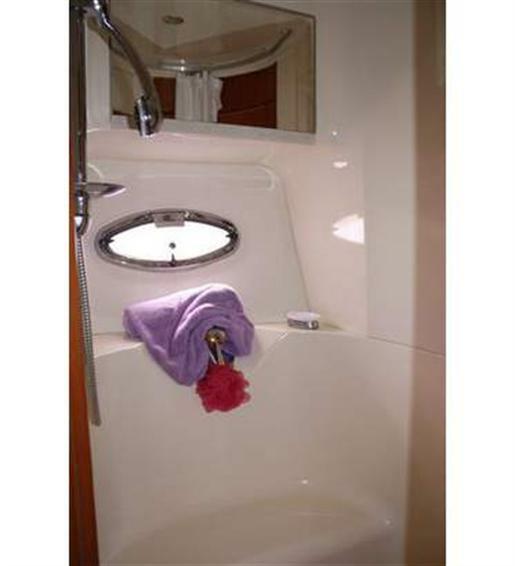 Opposite the head to port is the guest stateroom with access to the shower room. 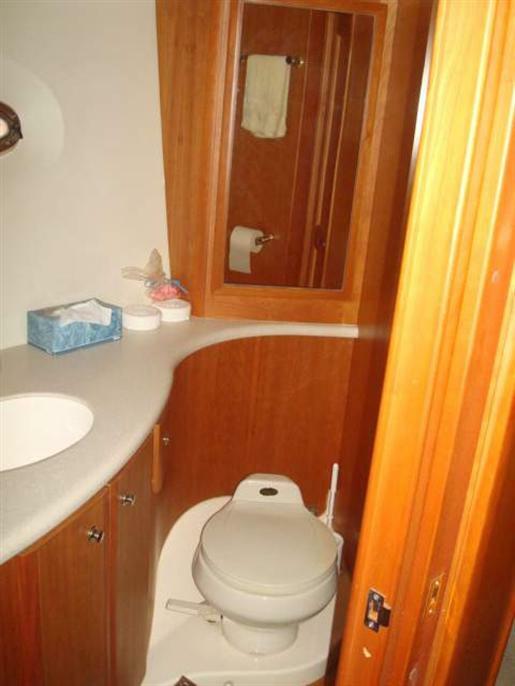 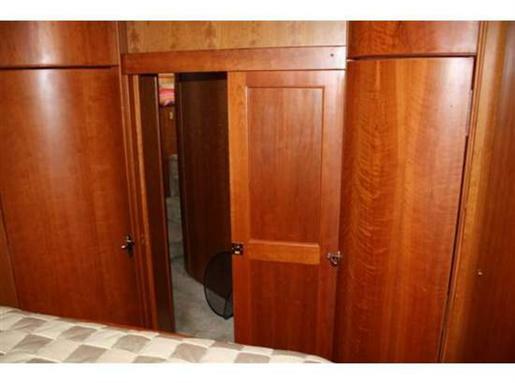 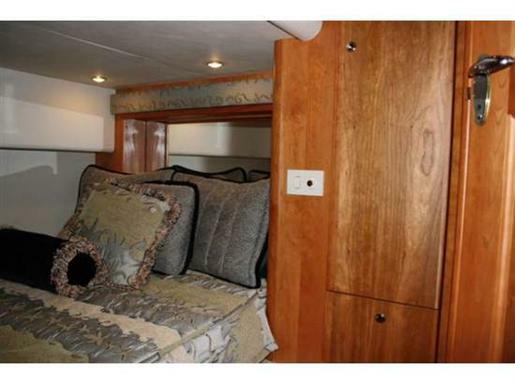 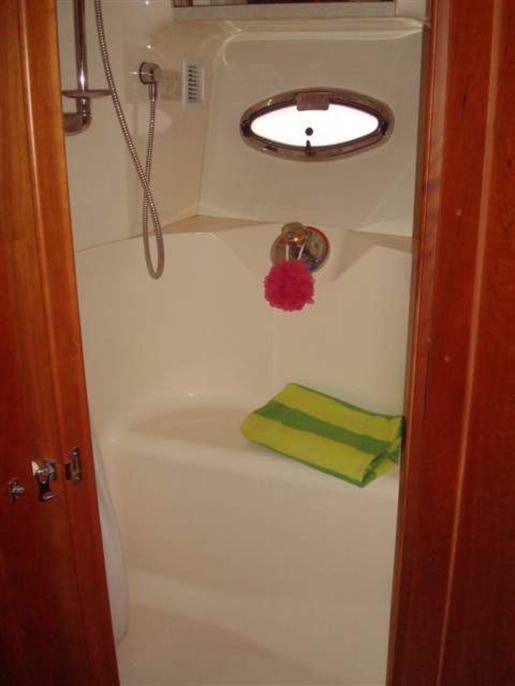 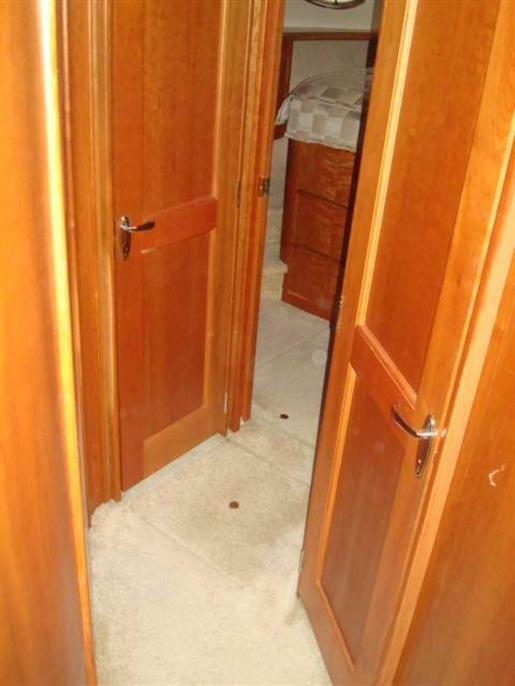 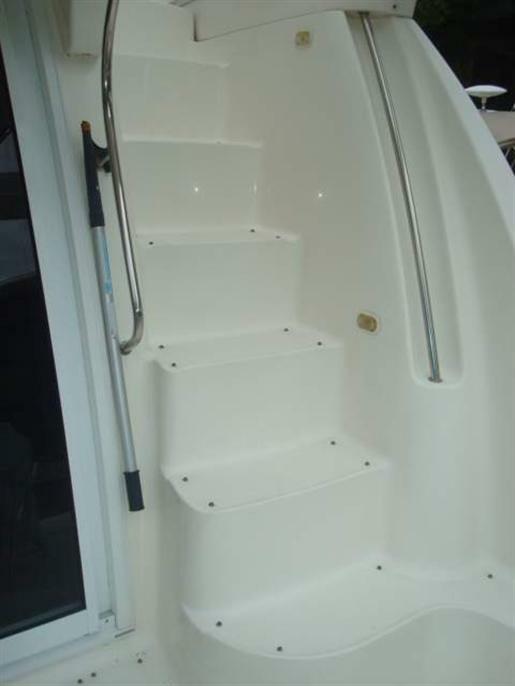 The master stateroom is farthest forward on the companionway and also provides access to the shower room. 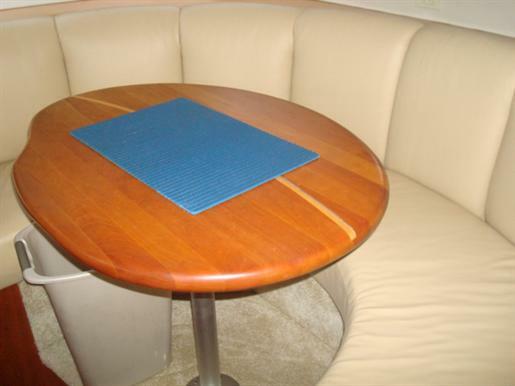 The interior is set in teak and complemented by warm tones and roominess. 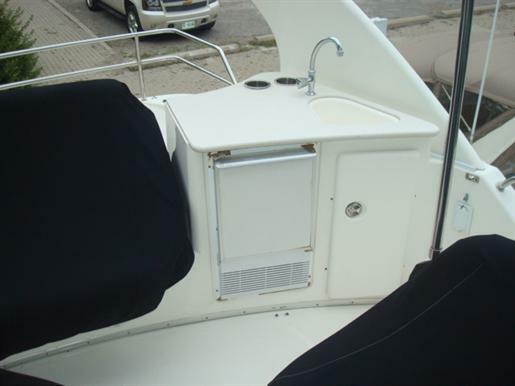 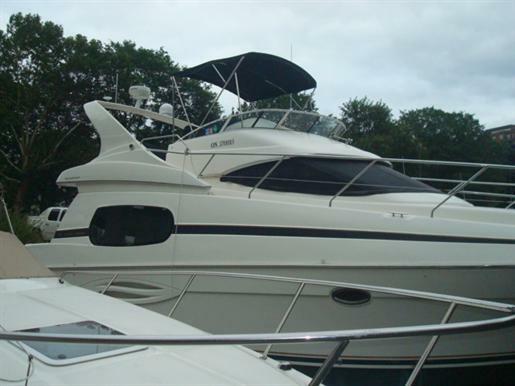 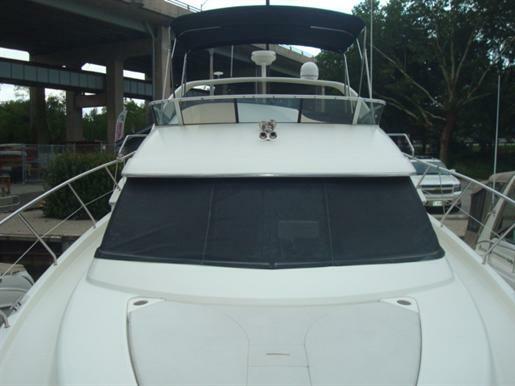 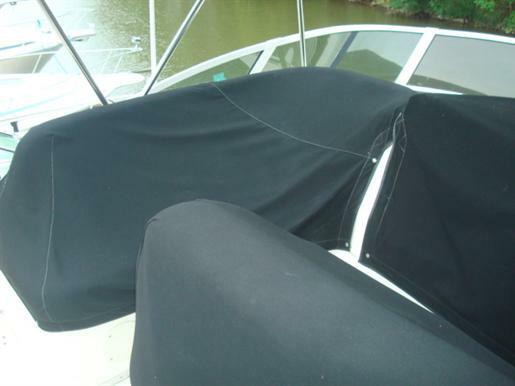 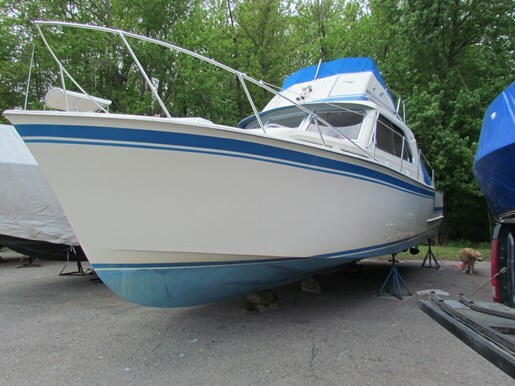 The current owner of this particular 410 is her second owner and his care for the boat will be evident to anyone who inspects her. 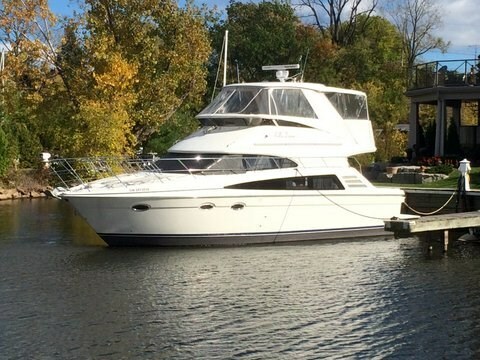 She is roomy and powered by dependable 430 HP Cummins engines which were an upgrade. 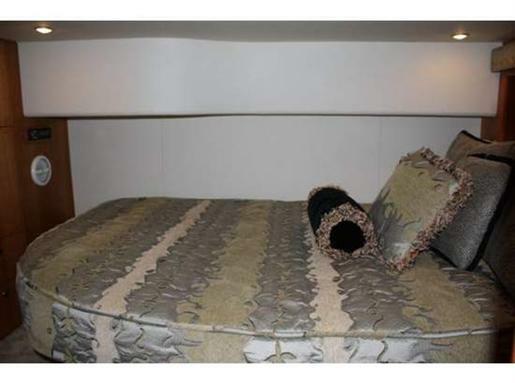 Please take time to come and inspect this aggressively priced Silverton!